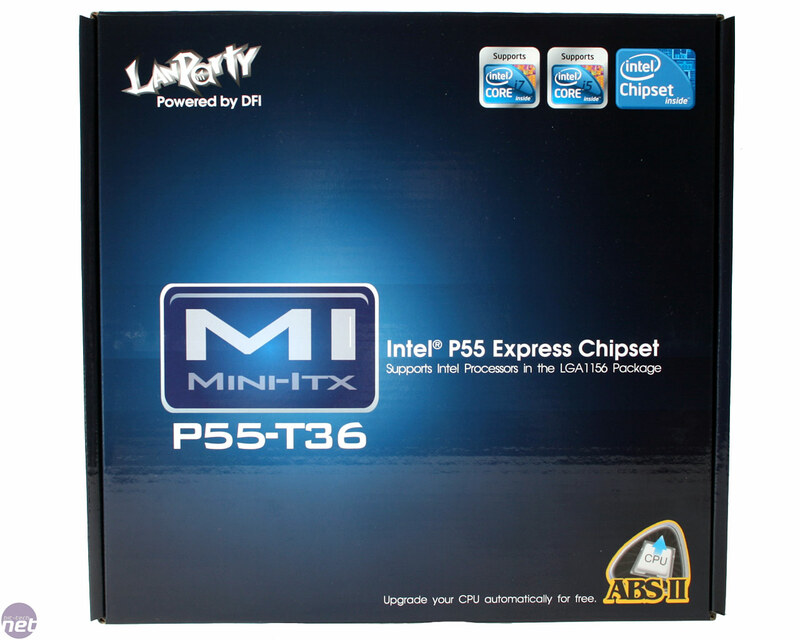 There's one thing that seems to drive a particular quarter of our community nuts, and that's mini-ITX boards. Add to this equation a set of performance hardware and the letters D, F and I, and the demands for a review are deafening! So, here it is, the littlest of DFI motherboards: the MI P55-T36. 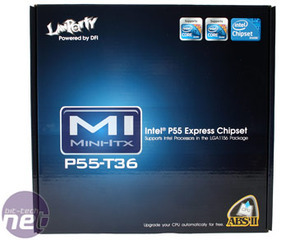 It simultaneously has the potential to be the highest performing, small motherboard out there. 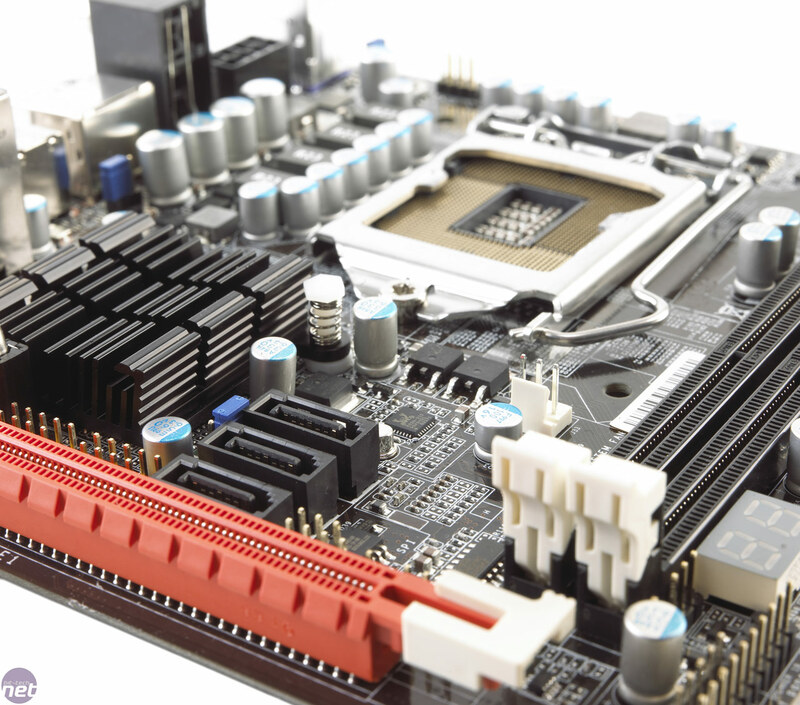 We've dropped in a Core i7-870 and overclocked it without too much issue, and it's likely you'll be using a cooler larger than the board itself if you fancy a flurry down that route. 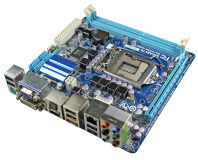 That's not to forget that unlike every other mini-ITX board on the market - this one does not have on-board video, meaning you'll have to drop a graphics card into its fully fledged 16x PCI-E 2.0 slot. 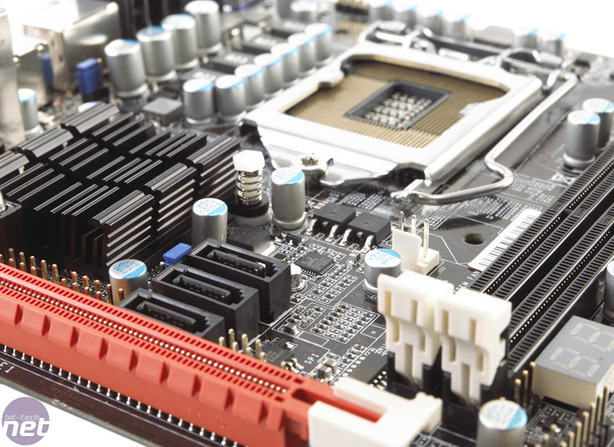 Whether that's a basic Radeon HD 4350 or lightening quick HD 5970 - that's your call. That flexibility is lovely. The possibilities are so numerous: while you can't yet drop in a Clarkdale Core i3, a Core i7-750 offers plenty of power, while if you added a low profile, passively-cooled graphics card, maybe on a PCI-E riser you could squeeze out a beautiful low profile system ala the Mac Mini. At the other end, drop in a Core i7-870 and biggest, badass graphics card you can afford and, well, providing it fits in the case, that's a PC with some serious horsepower. We have to admit though, DFI boards of late have not been representative of what they used stand for. 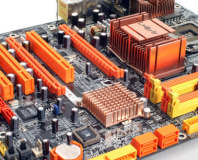 With the recently rumours and subsequent denial that DFI consumer motherboards are going the way of Abit, DFI stated that it would concentrate on more unique solutions to generate market interest in the future. This little cutie certainly fits the bill, but what of the final product: does it have an element of that DFI charm? Not much in the pack, but then again with mini-ITX boards there never is. 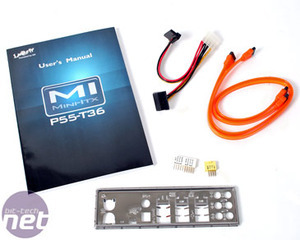 A few luminous SATA cables, a SATA power adapter, the manual, driver discs and pin-out adapters are all included to get you going, but to be honest, that's all you really need.